If you want your remodeled home to give off a dramatic first impression, you should consider shopping around for fancy front entry doors. The first thing your visitors will come into physical contact with when they come to your home is the front door. They walk up to it, knock on it, and are left to stand there until you come and let them in. During this time, the only thing your guests are focused on is the front door, making this an important aspect of your home's visual first impression. The following manufacturers and retailers are known for creating front entry doors that stand out from the rest of the pack. 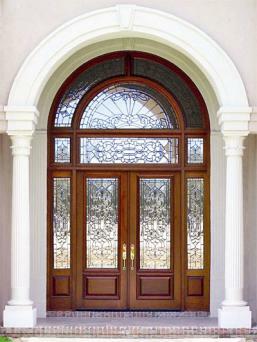 Some of the most popular styles of front entry doors are French, craftsman, beveled glass, contemporary, and estate. No matter what style suits your home, you will be able to find some fancy front entry doors at the sites below that suit both your taste and budget. 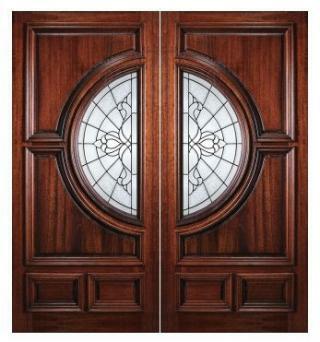 Feather River Doors - Feather River Doors are designed using a lot of ornate beveled glass and rich shades of wood. They are available exclusively at Home Depot so they are easy to find and are priced for the average budget. Southern Front Door Company - The Southern Front Door Company is another company with a massive inventory of fancy front doors. 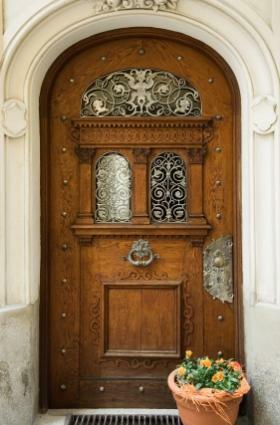 From rustic country doors to wrought iron doors to French doors, this is a truly fantastic place to explore some of the most impressive doors on the market. Doors by Decora - Doors by Decors has an incredible selection of country French doors. These doors are warm and inviting and are designed in colors that reflect the French countryside. They also sell Craftsman doors, contemporary doors, estate doors, and beveled glass doors. All doors can be custom finished to fit your home's color scheme. Milano Doors - If your home has a contemporary feel, check out Milano Doors. They have a great selection of modern doors designed with metal, glass, and bold colors to provide a sleek, urban feel to your home. Designer Doors - Designer Doors is interested in achieving architectural harmony in their door designs. What this means is that all the parts of your home's design are in balance and fit together in a seamless manner. Designer Doors believes your front entry way is a very important part of this philosophy, and their doors are intended to bring a sense of unity to your home. A quick search through any number of the above web sites will quickly reveal that there are thousands of options when it comes to front entry doors. What this means is that you need to take your time and consider what it is you really want. Front entry doors are not a cheap investment, so make sure you find just what you are looking for so you are happy with your doors for years to come.